Gremlins 2 | Gremlins Online! Sir Christopher Lee has passed away. Sir Christopher Lee, veteran of countless films, has passed away today at the age of 93. While there are undoubtedly many memorials for him online, this is just one fan’s way of saying “Thanks” to a screen legend that played everything from Dracula to a mad scientist that inadvertently allows our favorite Gremlins to mutate. We will miss you, Dr. Catheter. 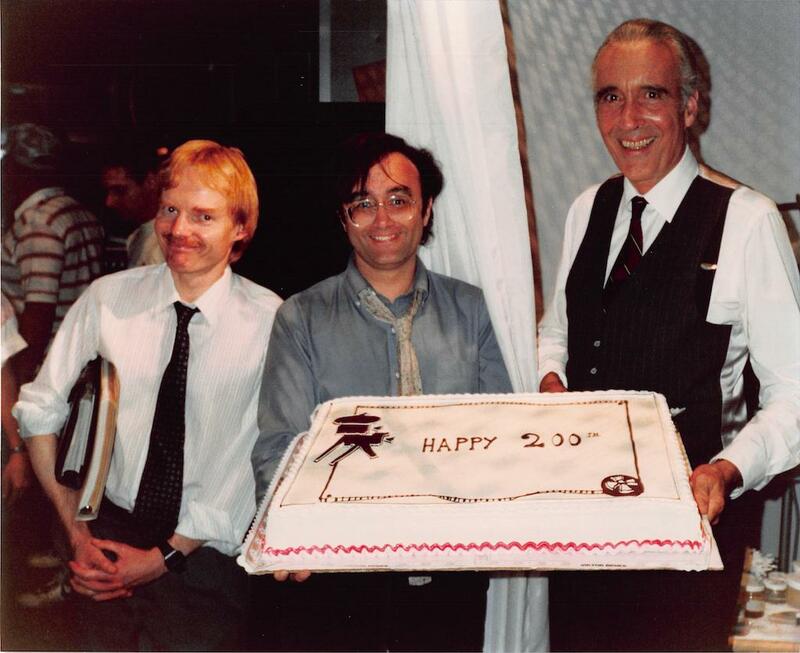 Did you know that Gremlins 2: The New Batch was Sir Christopher Lee’s 200th film? What a fitting accomplishment for it being such a unique commentary on the medium. Bloody-Disgusting with a neat little article on Why Gremlins 2 is a Masterpiece…. Check out this piece from Bloody-Disgusting, the author explains 5 of his reasons that Gremlins 2: The New Batch is a Masterpiece. Quite a statement regarding a very frequently maligned film that some feel killed the Gremlins as we knew them forever, while others feel that it is a fantastic satire of the 90s and movies in general….What do you think? Read the article and comment below! Gremlins 2 invades the Ain’t It Cool Behind the scenes pic of the day! Awesome behind the scenes shot of the Hero Gizmo puppet, and some kind words from AICN staffer “Quint”.